A selection of my painting work, textiles, and other hand-crafted items. 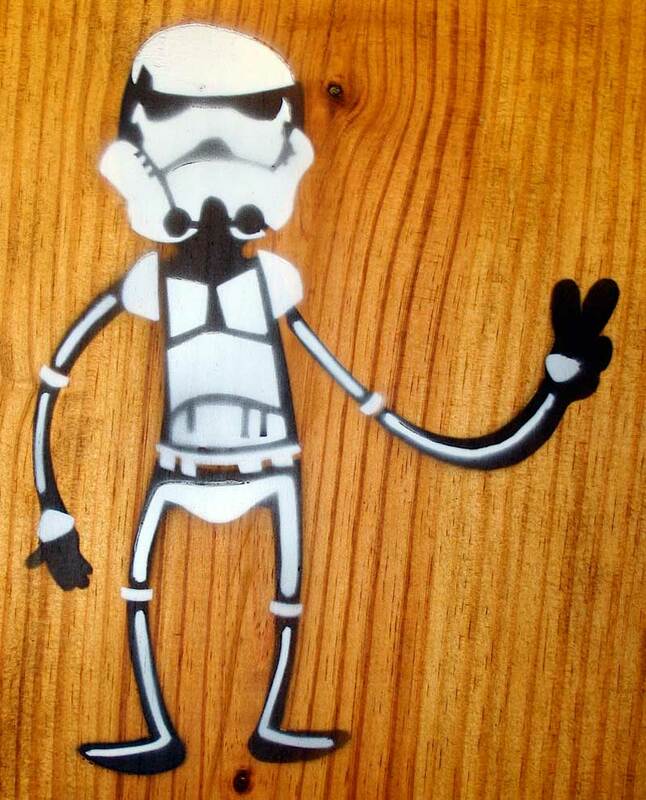 An original spray-paint stencil, designed for artistic and urban use. 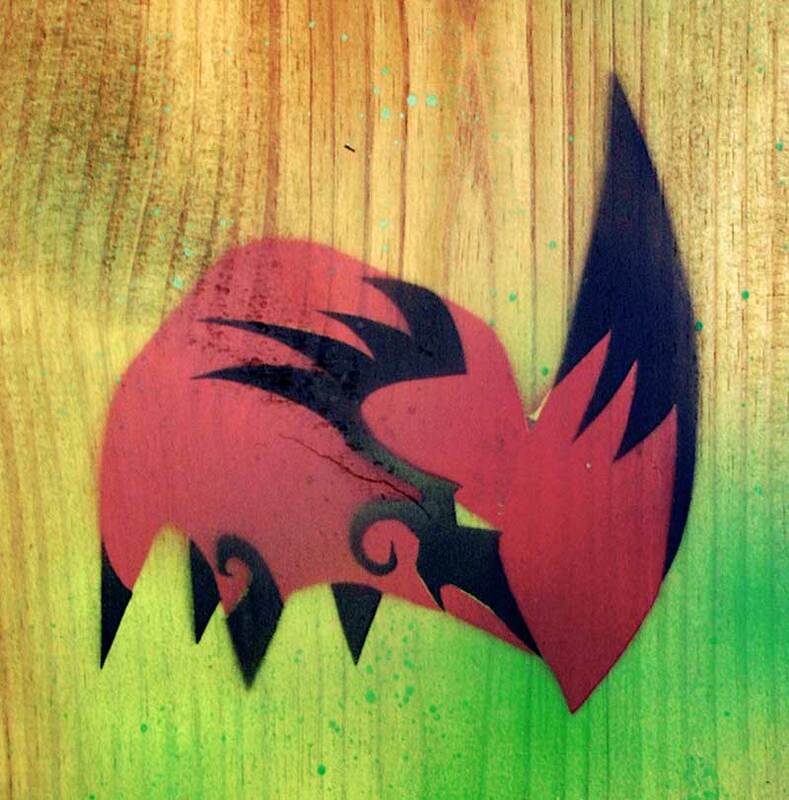 A spray-paint stencil (based on a Viva Piñata character design), for artistic and urban use. 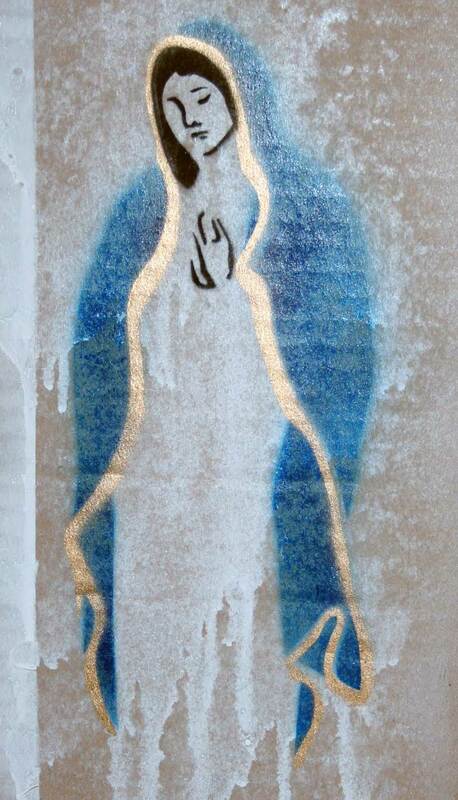 A spray-paint stencil, designed for artistic and urban use. 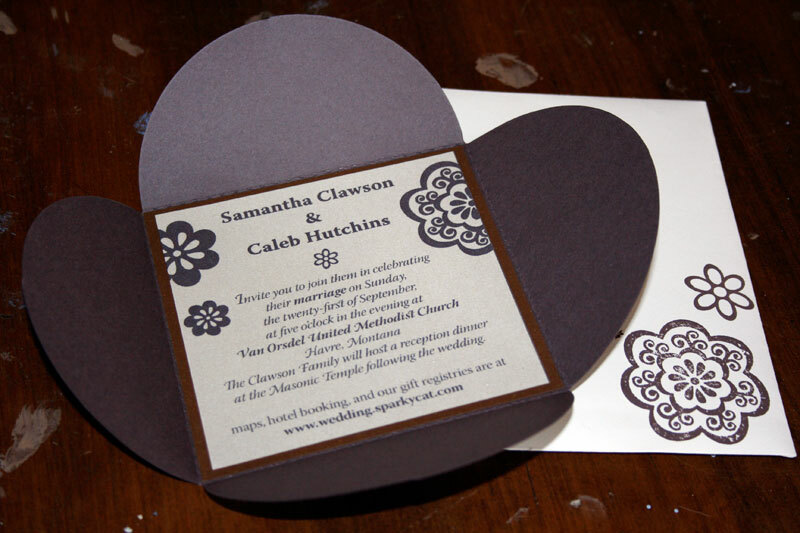 A mostly original design, loosely based on a vintage Indian matchbook cover. 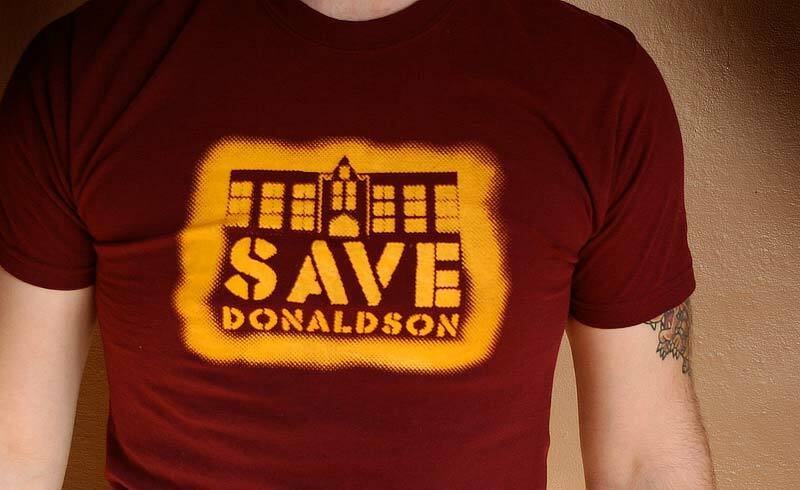 Donaldson Hall, the oldest building on the campus of MSU-Northern, was recently closed and threatened with eventual demolition. I designed these shirts in protest of that action, and with the help of some sympathetic university faculty, printed and distributed a run of them. So far, the building remains uninhabited but intact. 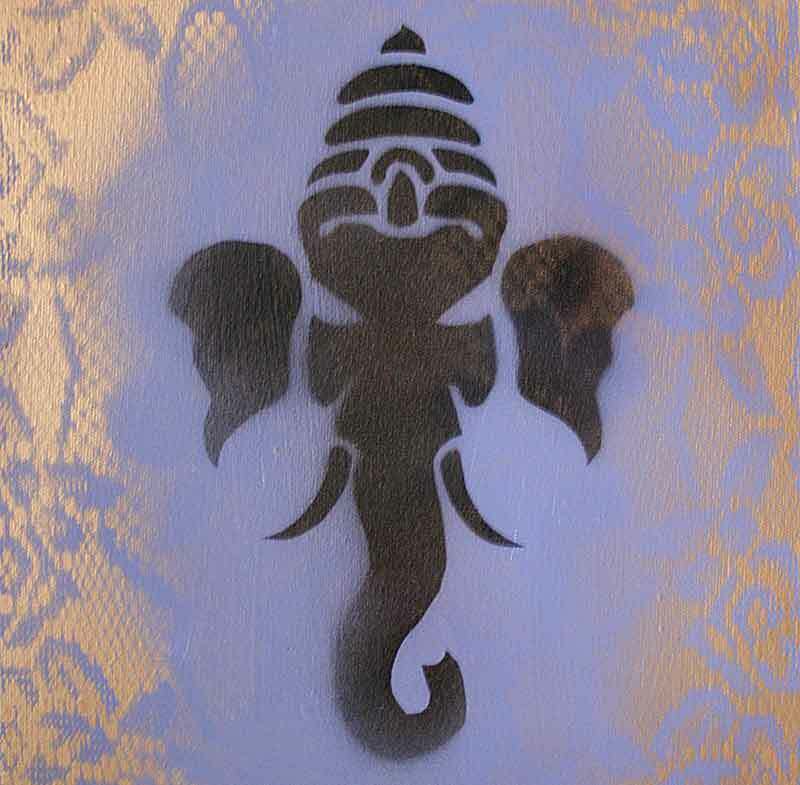 A spray-paint stencil, designed for artistic and urban use. 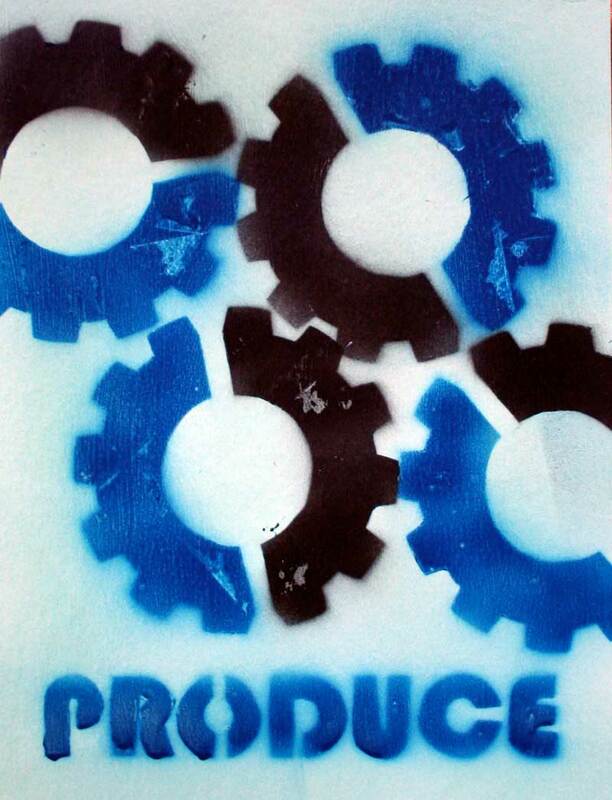 A very early project of mine, I made a series of photocopied posters, applied a painted portion with a hand-carved foam stamp, and wheat pasted a series of the posters on several surfaces around town. 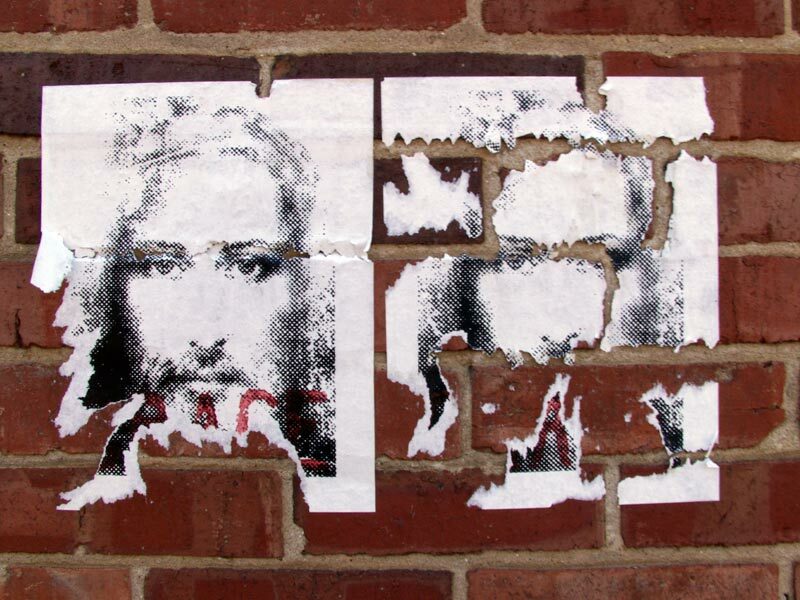 Here's a picture of two of the posters, several weeks after application.